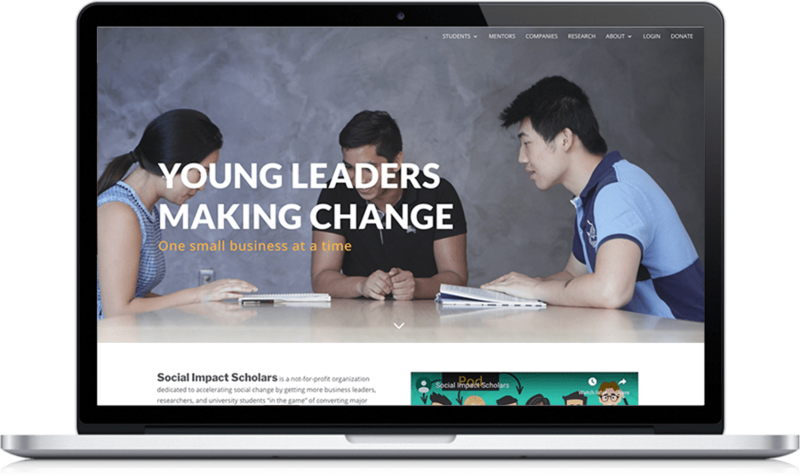 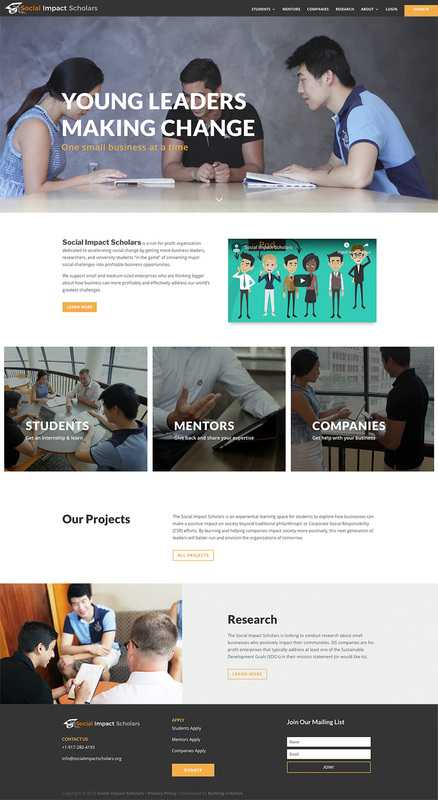 Social Impact Scholars is a not-for-profit organization dedicated to accelerating social change by getting more business leaders, researchers, and university students “in the game” of converting major social challenges into profitable business opportunities. 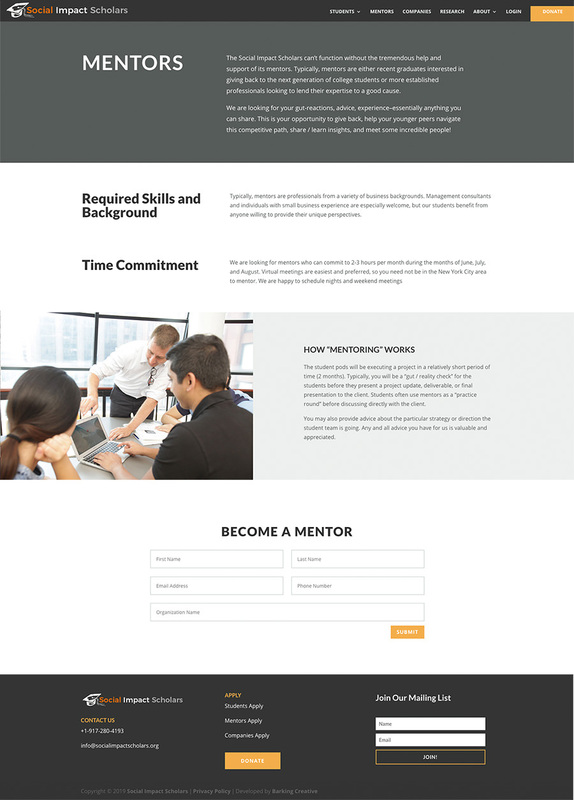 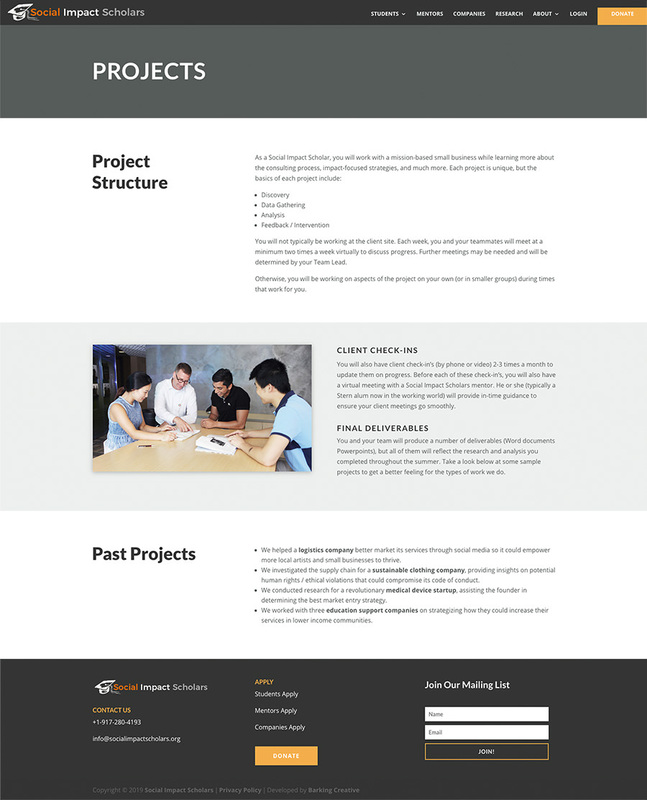 Barking Creative designed a logo and build a custom website. 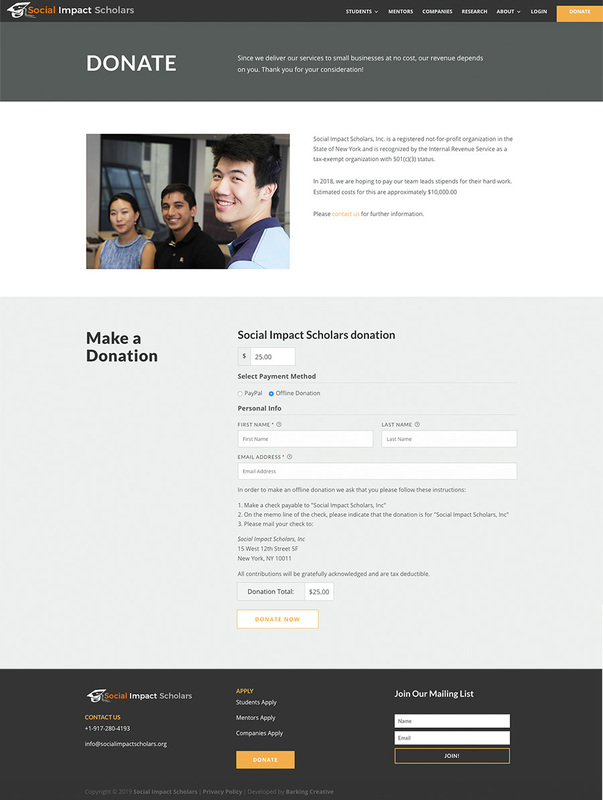 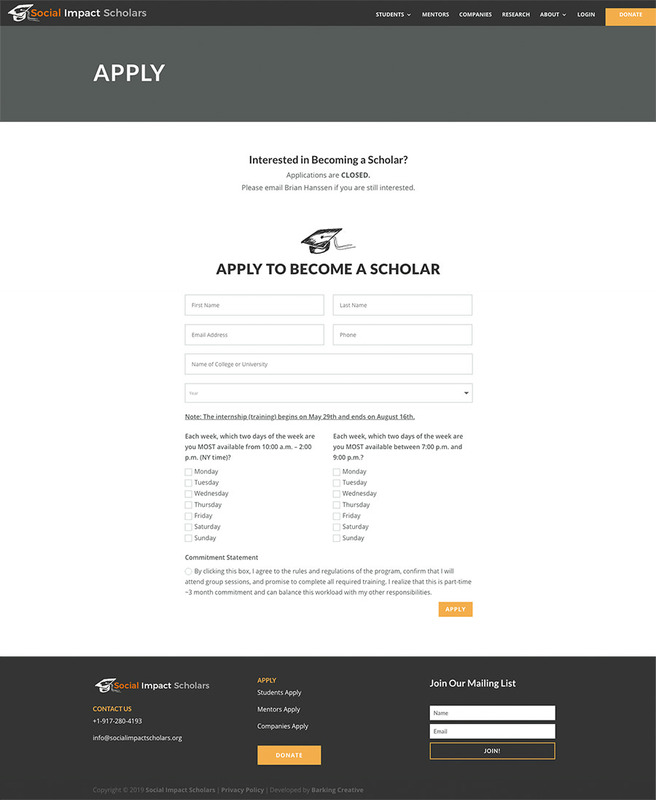 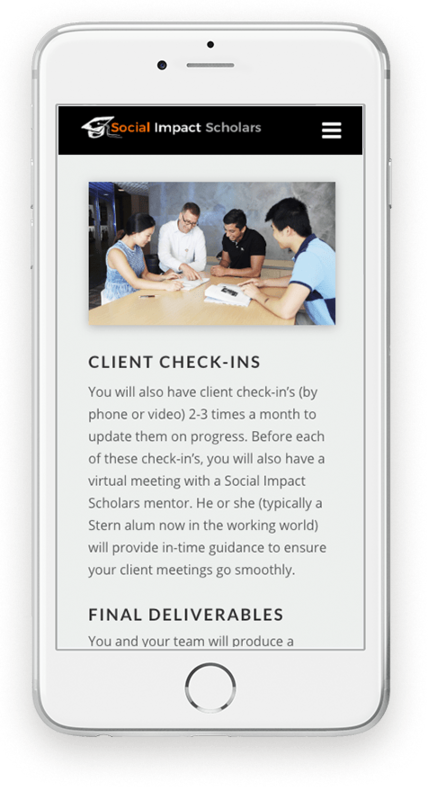 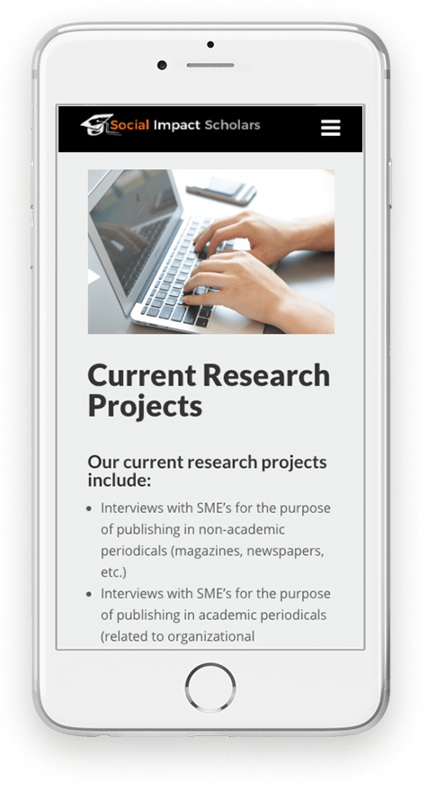 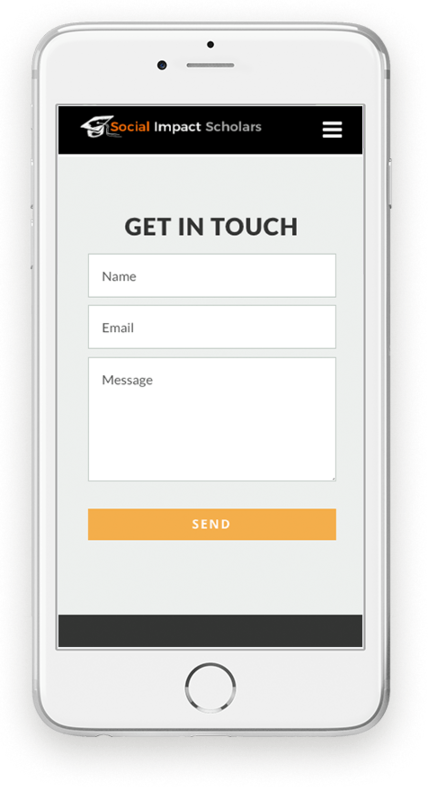 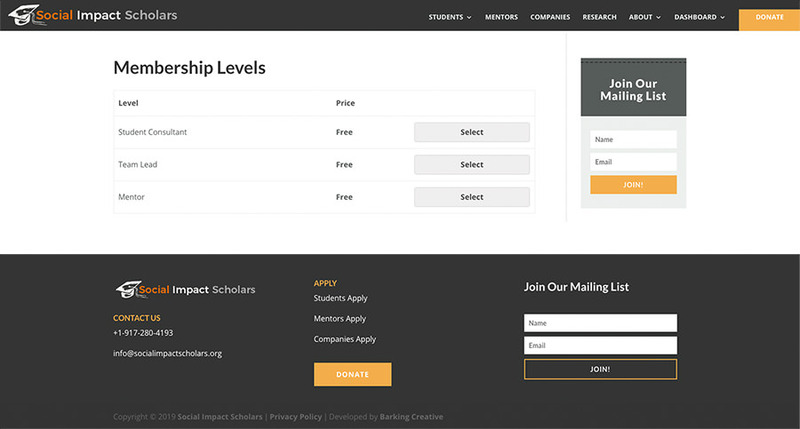 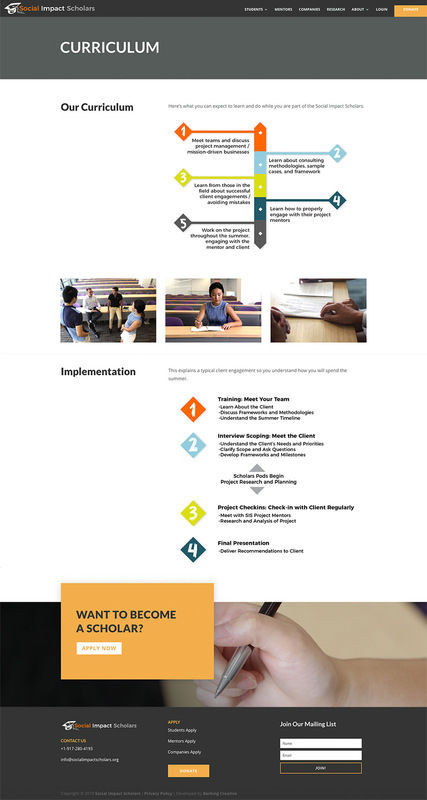 The site allows visitors donate to support the organization, apply to work with Social Impact Scholars, and once accepted, go through their online training curriculum.